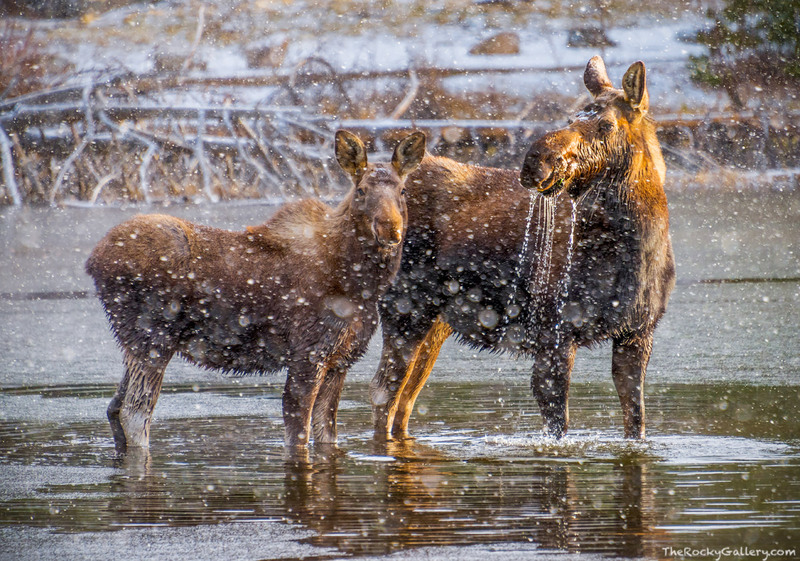 A mother Moose and her yearling calf treat themselves to a chilly morning breakfast in Sprague Lake. The mother Moose keeps a watchful eye on her surroundings as the snow falls on this April morning with Sprague Lake partially covered in ice. Photo © copyright by Thomas Mangan.